Sending you lots of ♥ ♥ ♥ ♥ today! love EVERYTHING! the top, purse and boots! Red is totally your color, especially the one you have on your lips! 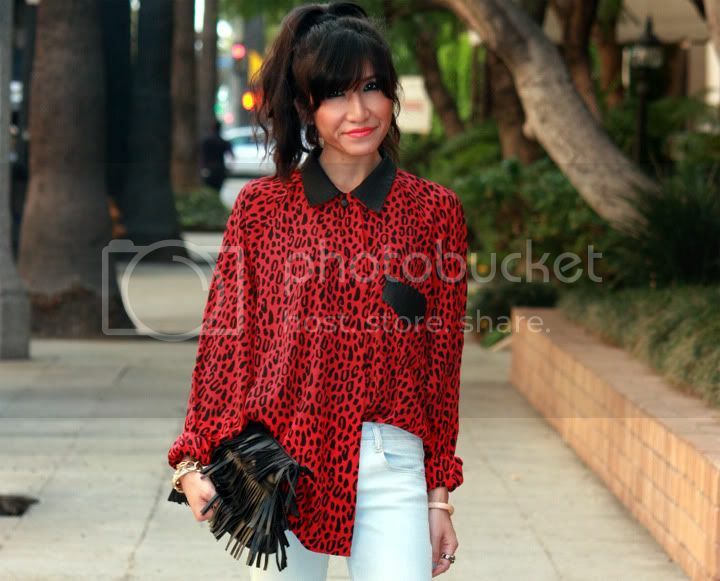 Becs, that blouse is absolutely stunning – and so perfect for Valentine’s Day! You look gorgeous! Lone Wolf loves your blog! Totally in love with your style… and blog! you are adorbs! EVERYTHING about this look is too cute for words!!! I really love it all. You look so pretty.